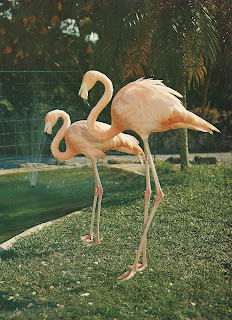 Florida Flamingos. 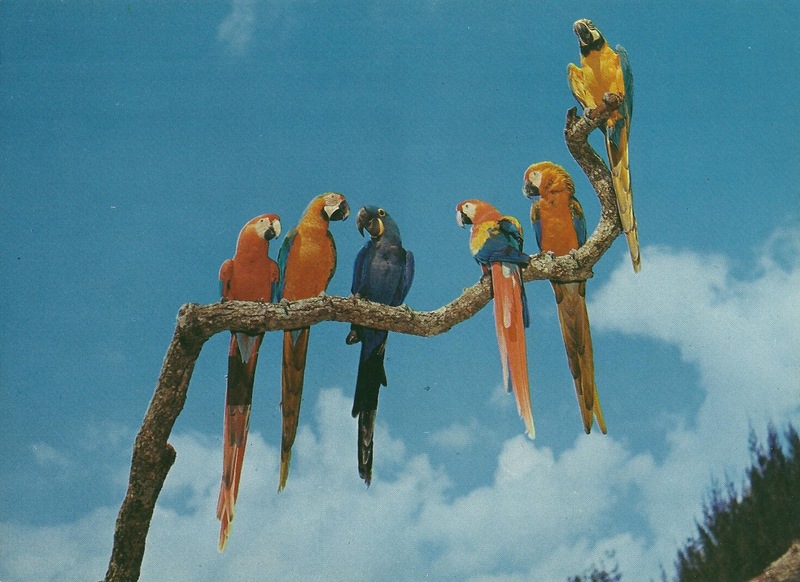 These exotic and otherwise very shy birds can be seen really close up and in natural settings in Florida's outstanding attraction, the "Parrot Jungle" near Miami, where the picture was taken. 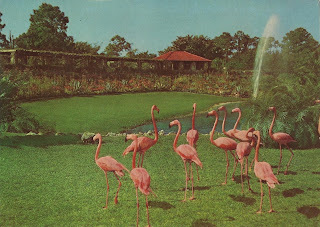 The colorful flamingos are a symbol for Florida. They were in great abundance when the Spaniards landed here in the 16th century. 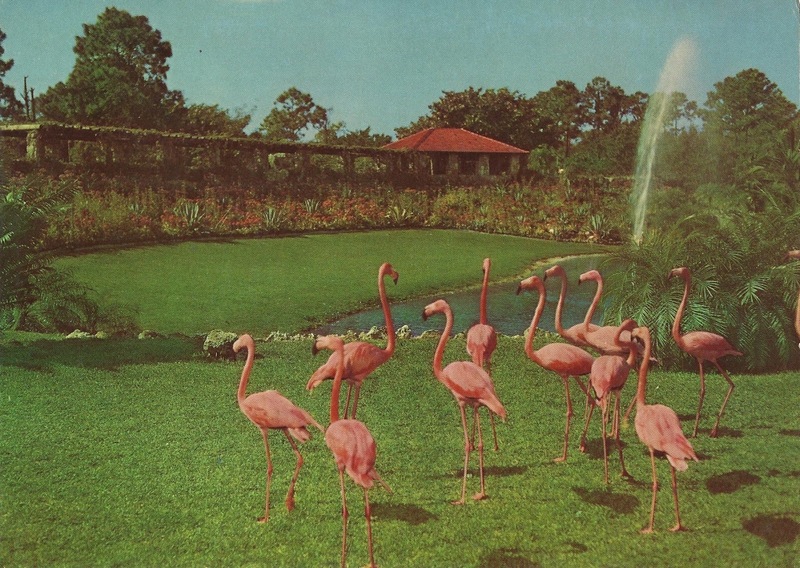 Sitting in the swamps in big clusters, the discoverers mistook them for flower bushes and called the new land "Florida" Island of Flowers. 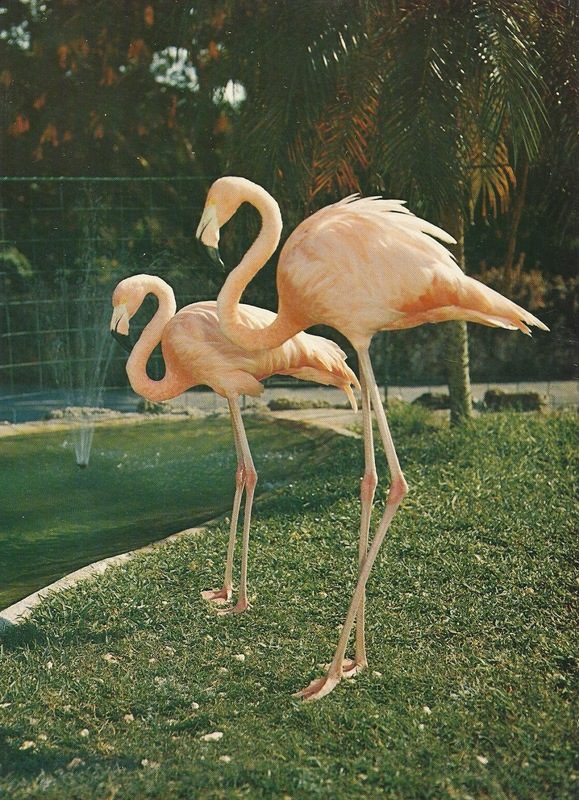 This picture shows a close-up of two beautiful Flamingos in the Parrot-Jungle, near Miami, Famous Florida attraction. High in the sky over Miami's famous Parrot Jungle. Over 100 of these beautiful macaws are free to fly as they wish during the day but are trained to come home to roost indoors at night. All of them are named and each pair has its own cage with their names on it that they occupy every night.